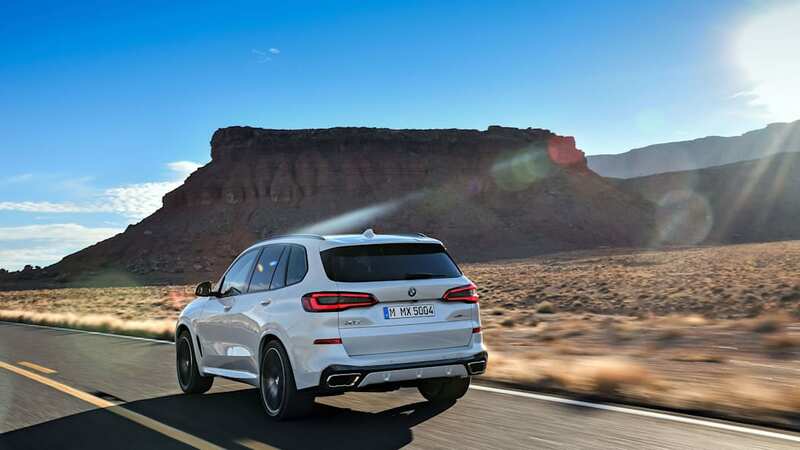 The day after we drove the 2019 BMW X7 for a road test around South Carolina, BMW bused us to a garage at its South Carolina factory to preview the 2019 X5. 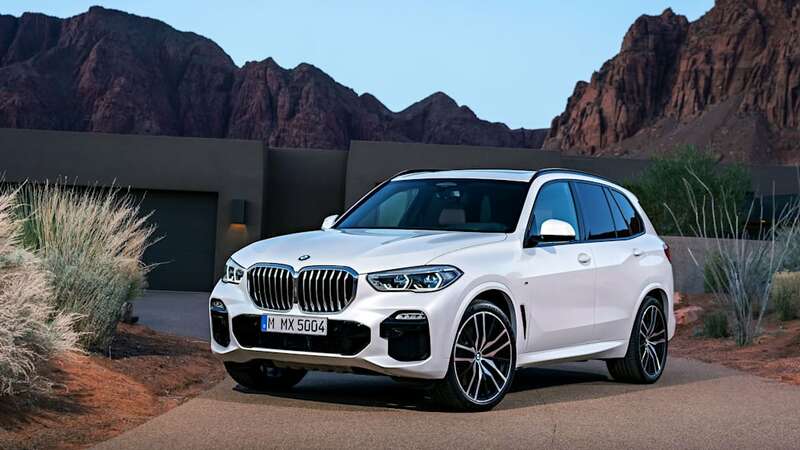 The X5 trailed the Mercedes-Benz M-Class to market by a year, but broke open the segment by being the first luxury crossover to deliver a premium-car-like experience. 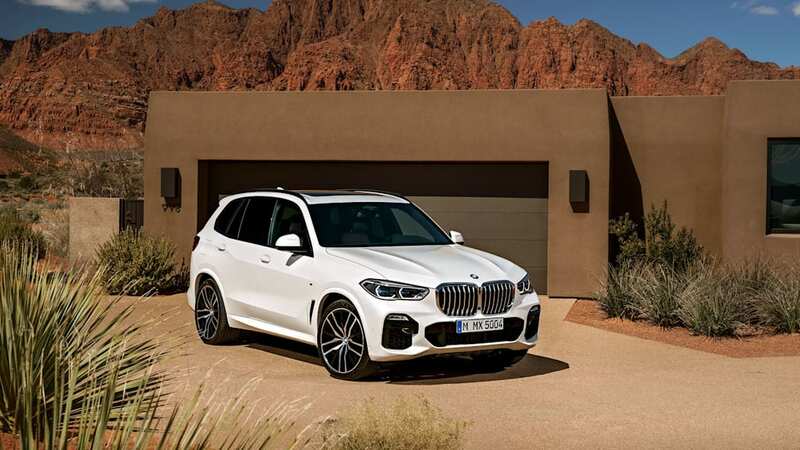 As the X5 prepares for its 20th anniversary next year, it has sold more than 2 million units worldwide (when including its X6 sibling), and it sells better in the U.S. now than it ever has. 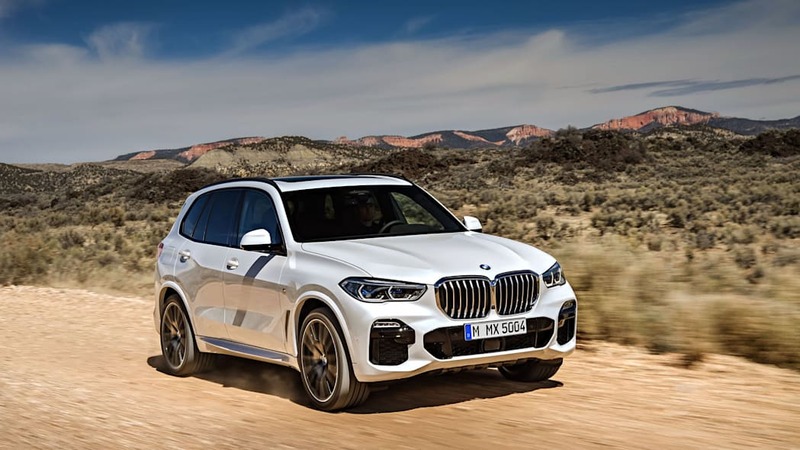 Nevertheless, BMW wants its first "Sports Activity Vehicle" to reclaim the top spot from the only real competition it has ever had — the Mercedes GLE, which has outsold the X5 for the past two years. 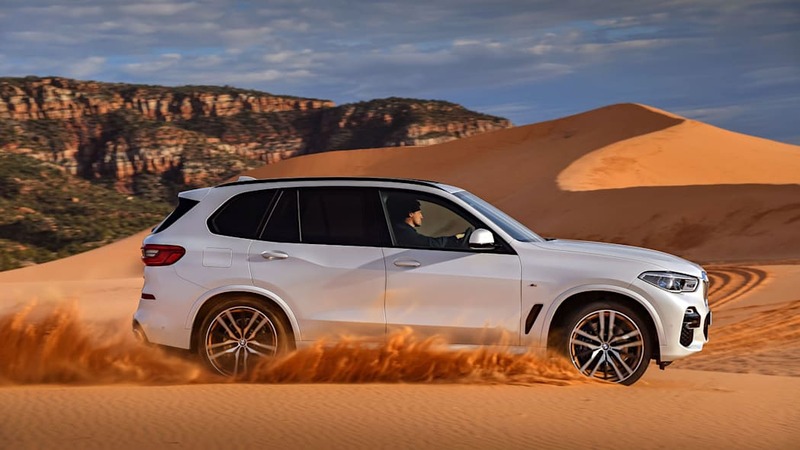 The third-generation 2014 X5 was a holdover, built on a reworked chassis from the second-generation X5 introduced in 2007, considered an "update" rather than an entirely new model. 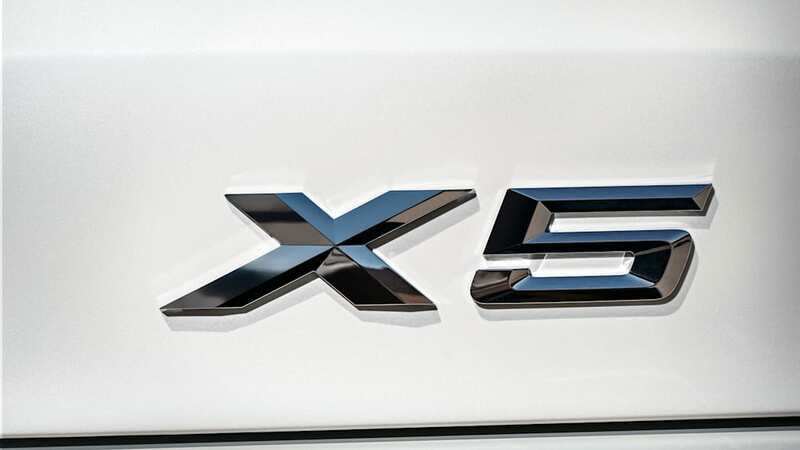 The fourth-gen 2019 X5 starts from scratch. 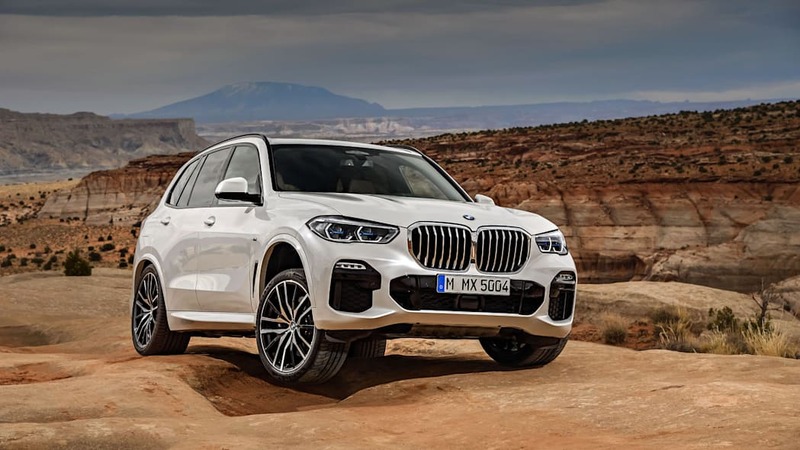 Although it rides on the SUV version of BMW's Cluster Architecture — same as the X3 and the X7 — BMW used the gee-whiz multi-material structure to reduce weight instead of increase proportions. 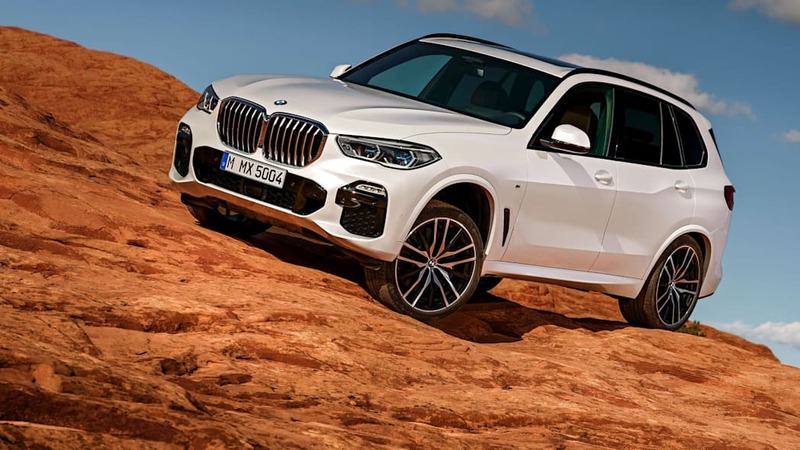 We couldn't get a curb-weight figure, but BMW said the new X5 has the same stiffness as the outgoing vehicle, is about 1.1 inches longer with even smaller changes to height and width, on a wheelbase that's "maybe two or three millimeters more" than the 2018 X5. Designers grabbed their boldest pencils for this redesign. 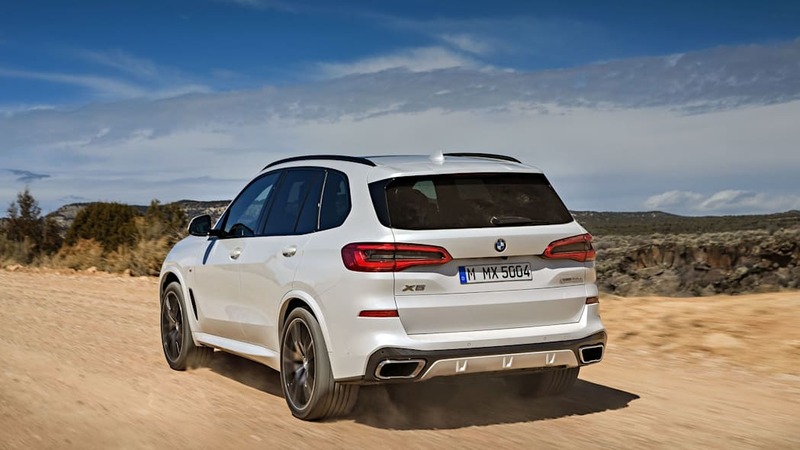 The 2019 X5 serves up simpler surfacing with an emphasis on horizontal and vertical lines, making a sterner statement because of it. Two sharper spines crease the hood, outlining deeper scallops in the center out to more pronounced edges. A big ol' monochrome grille hiding active shutters dominates a larger, flatter face. 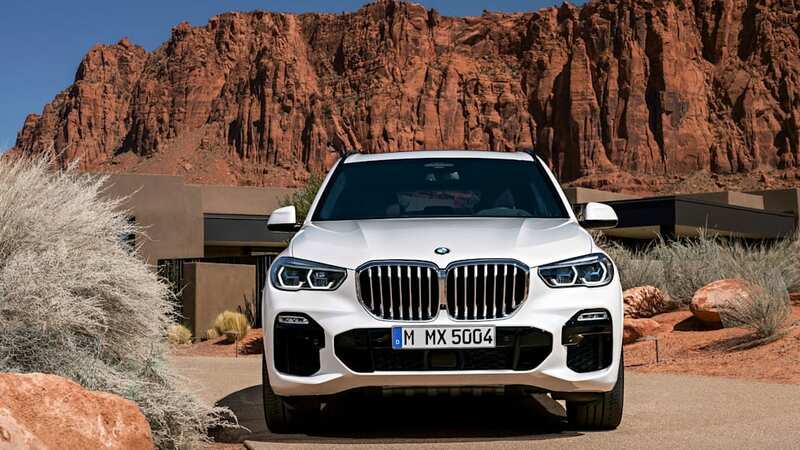 The few angled lines on the front fascia beeline into hard corners, a theme carried over to the headlight housings, where the X5 forsakes round light rings for partial hexagons. The brutalist theme makes the X3 look passionate by comparison. That deadpan front end sets the tone for the sides: This looks like a vehicle that has no intention of moving out of your way. A beveled edge at the base of the greenhouse establishes width at the midline, creating the impression of more substantial flanks. A faster roof angle to the backlight keeps the profile from looking blunt. 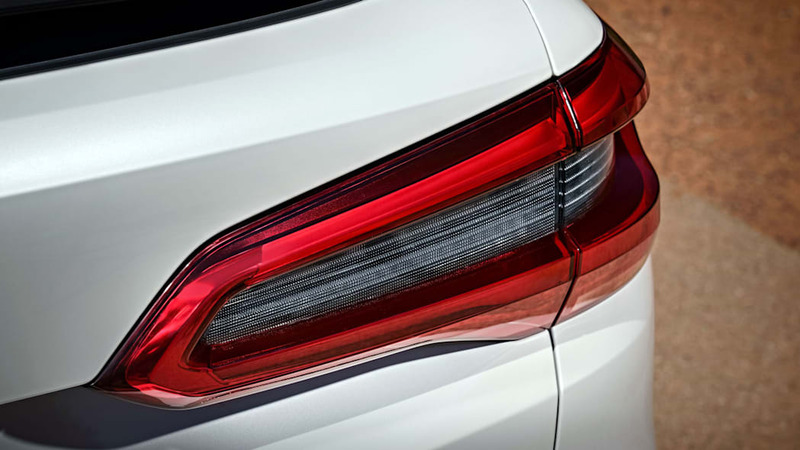 A shoulder line runs from the top corner of the taillight, across the generous haunches, through the rear door handle, then dips with an S-bend below the front door handles to complete its run to just behind the front wheel arch. An active shutter just ahead of the front door turns into the lower character line and frames the side-length hollow. 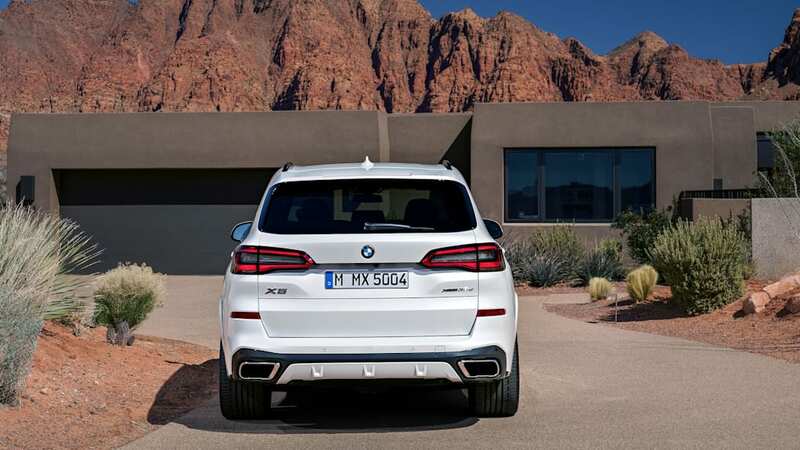 The rear aspect could have been cribbed from the current X5. 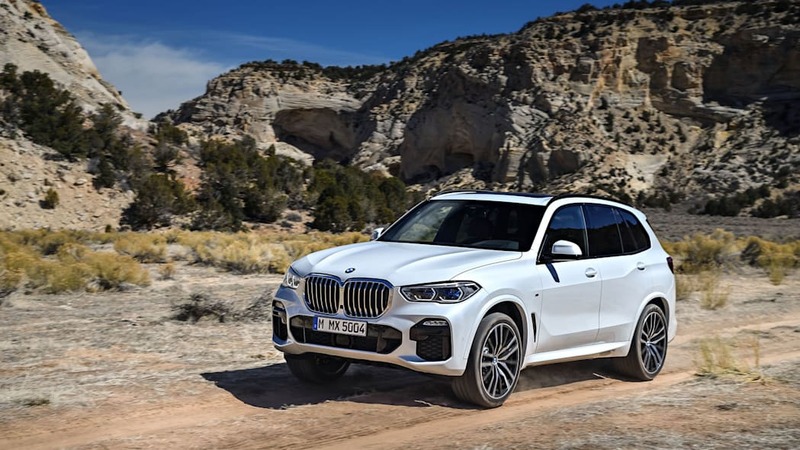 The two-piece tailgate — a holdover from when BMW created the X5 while owning Range Rover — remains, but top and bottom feature full electric closure. 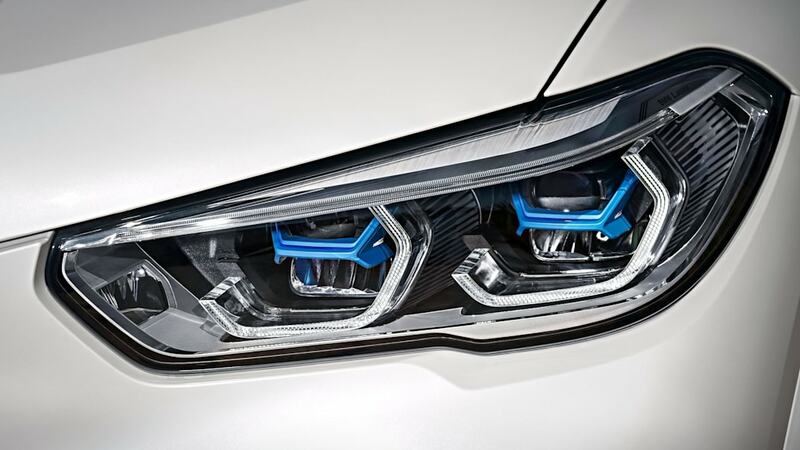 Assertively three-dimensional LED taillights have raised, stretched U-shaped outer edges that surround inset centers. Down below, exhaust finishers go flush with the bumper instead of poking through bumper cutouts. 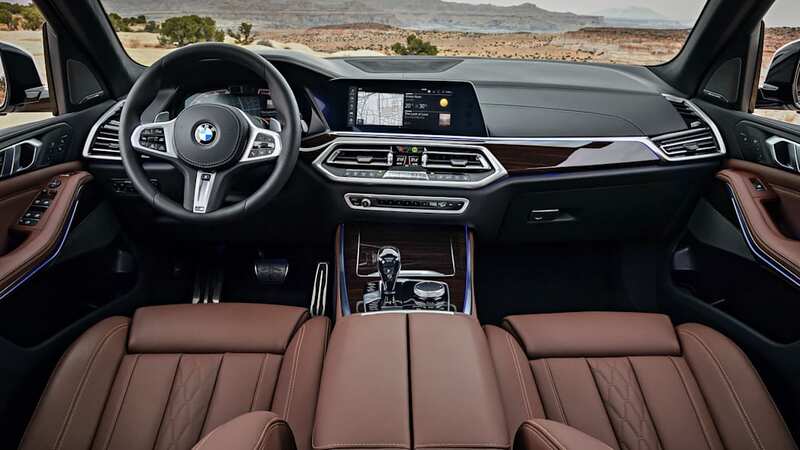 Inside, the instrument panel takes the same general shape as that on the X7, but more extravagant décor and materials on the X7 will differentiate the two. 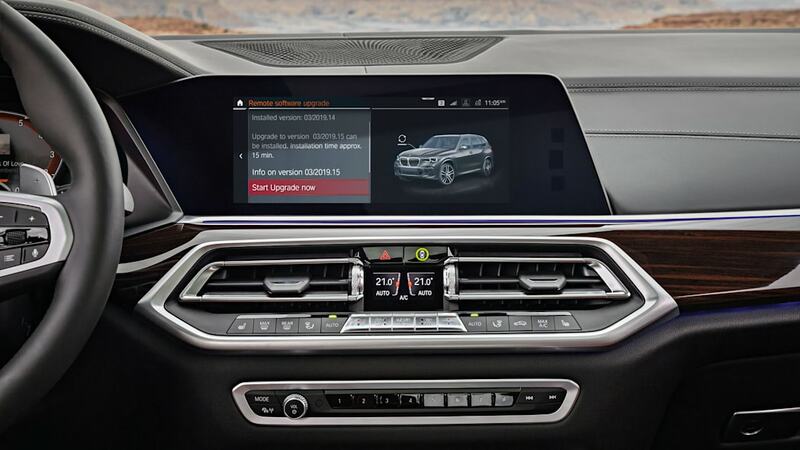 The X5 shares some touchpoints, though, such as a frameless rearview mirror, the same front seats and steering wheel, and a display key that can charge wirelessly in a pocket at the base of the center console ahead of cooled and heated cup holders. 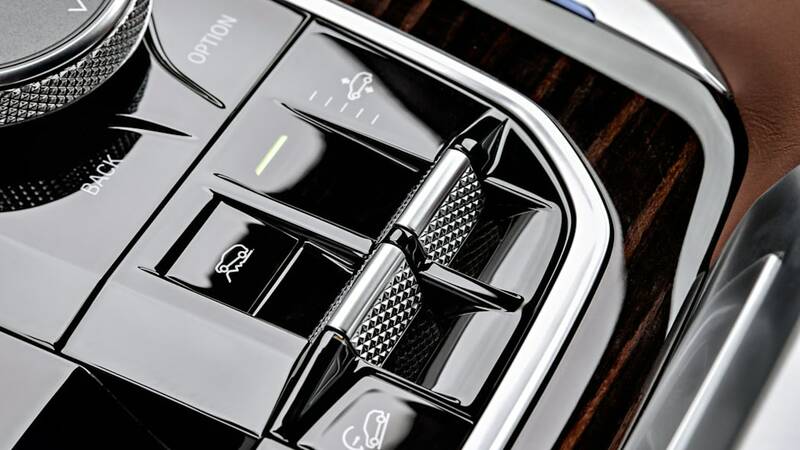 The redesigned control panel on the center tunnel upgrades cabin elegance with crystal surfacing on the iDrive knob and repositioned On/Off button, and a meaty cut crystal orb atop the redesigned shift lever. Slender pipes of ambient lighting highlight the center tunnel, doors, and instrument panel. X5s fitted with the optional panoramic roof will let the sun shine in. The stars can also be had with the additional option of Sky Lounge LED lighting. 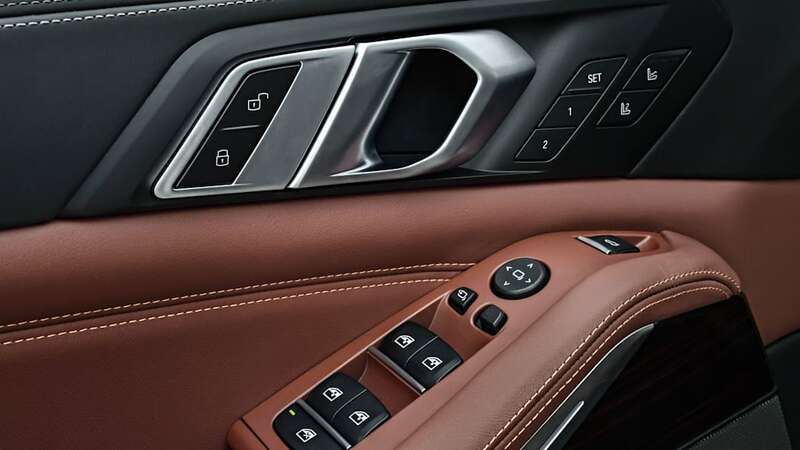 Comfort glass, standard on the X7, will be available for the X5. 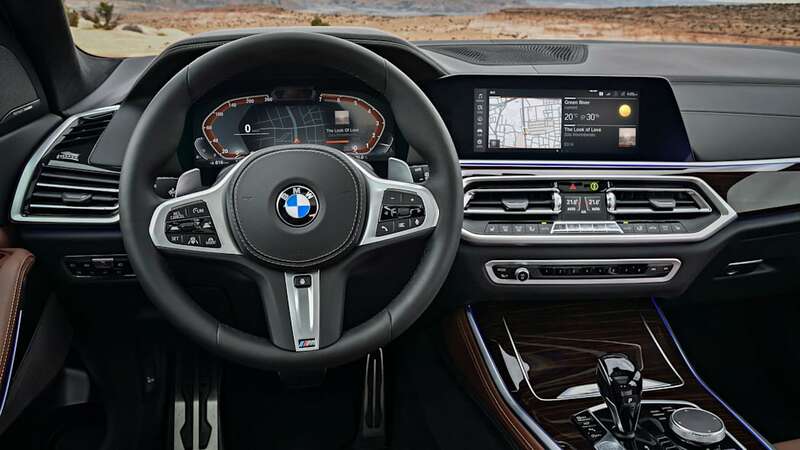 Tech enhancements include a new iDrive 7.0, enabled with over-the-air updates and displaying on a 12.3-inch screen; touch and voice control will be included, gesture control optional. Harman Kardon provides the entry-level sound system, but Bowers & Wilkins takes over from Bang & Olufsen (Harman owns the other two premium audio companies) as the top option with a Diamond Plus system belting out 1,800 watts of 3-D sound. A new, optional driver assistance feature monitors driver attention and fatigue. A camera tucked inside a small hexagonal housing at the top of the gauge cluster watches the driver. If the camera doesn't detect the driver's eyes looking at the road ahead for a certain amount of time, or detects the driver's eyes are closed, the system will sound an audible alert. 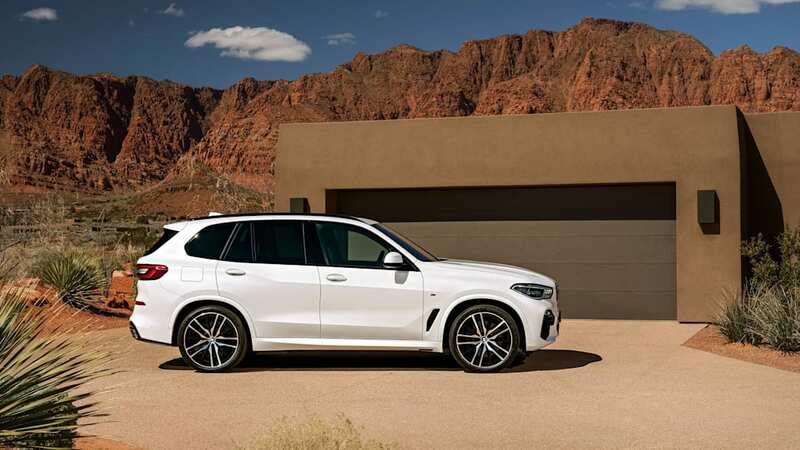 If the driver doesn't respond to illuminated and audible warnings, BMW told us the X5 will be able to pull over on its own and come to a stop. 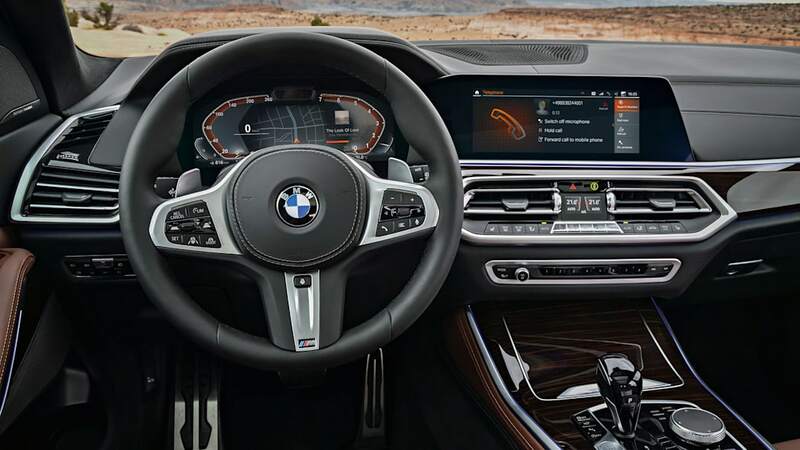 For drivers who remain alert, a hands-off detection feature in the steering wheel will let the driver take her hands off the wheel at lower speeds for up to 30 seconds, or for up to seven seconds at highway speeds. The third-row option continues, but it won't be available at launch. 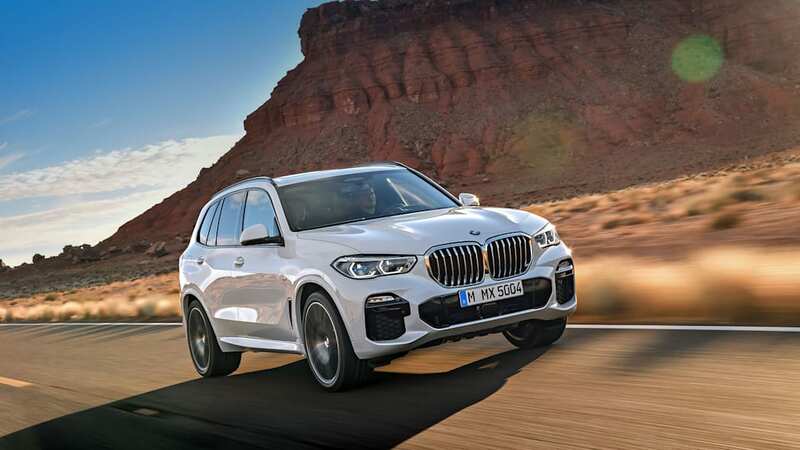 The X5 begins production at the South Carolina plant in August, the third-row coming online four months later during December production. 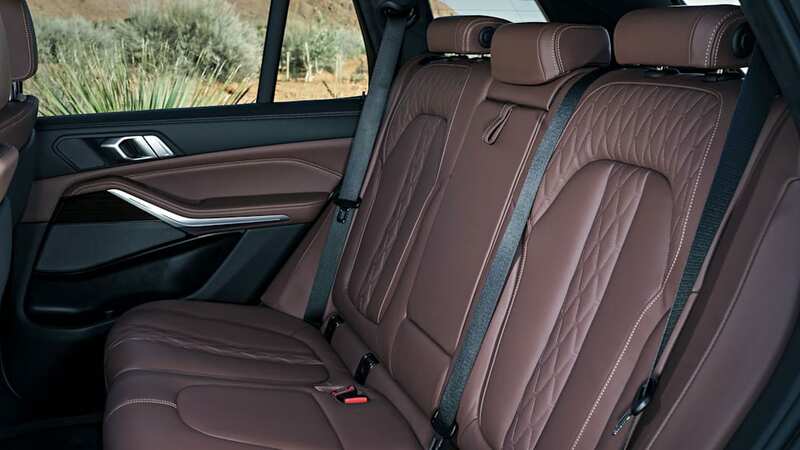 BMW needs to protect its X7 from poaching by three-row X5s, so in light of the new X5 having stayed the same size, the extra two seats should be viewed like fire extinguishers, to be used in case of emergency only. The chairs can be flipped down with a button in the cargo area, but they must be raised manually. The cargo area, if no larger than the present 35.8 cubic feet behind the second row, benefits from tweaks to boost convenience. Gone is the current, fiddly cargo cover that must be removed by hand and then stored somewhere out of the way. The new, all-electric cargo cover extends and retracts with a button push. When the cover isn't needed, the entire cover housing descends into the flat load floor. Long, thin, rubber anti-slip rails lie flat on the load floor. Press a button on the side of the cargo area and the rubber rails rise a few millimeters in order to hold cargo in place. These, along with the third-row seats and Bowers & Wilkins system, become available with December X5 production. The inline-six and eight-cylinder gas engines get "a little more" power and better fuel economy numbers. 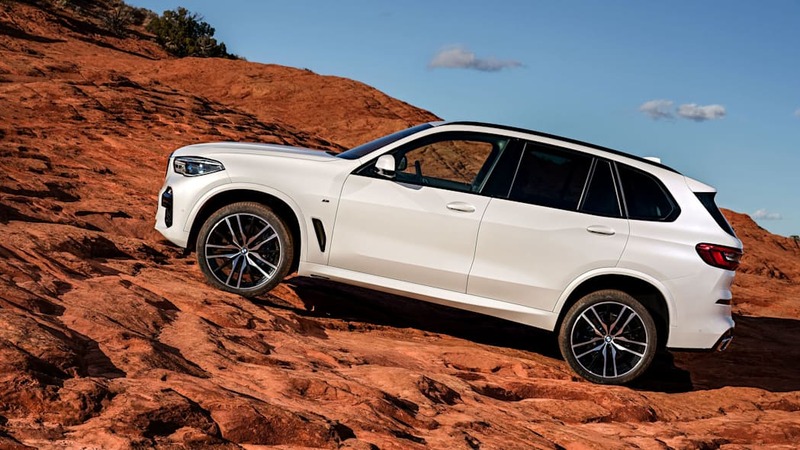 The 3.0-liter straight-six gains 20 horses, rising to 335 total, with 330 pound-feet of torque in a wide band from from 1,500 through 5,200 rpm, and graduates from "35i" nomenclature to sDrive40i and xDrive40i. 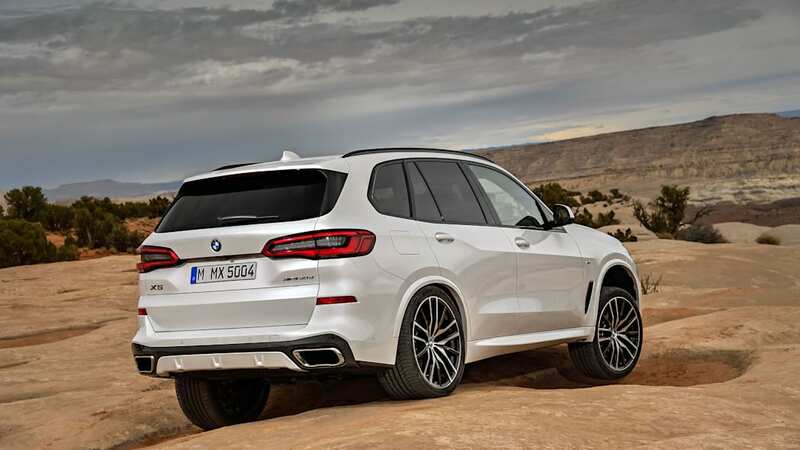 The 4.4-liter V8 in the xDrive50i makes 456 horsepower and 479 pound-feet of torque between 1,550 and 4,750 rpm. BMW cites 0-to-60 times of 5.3 seconds for the SDrive40i and 4.6 seconds for the V8. 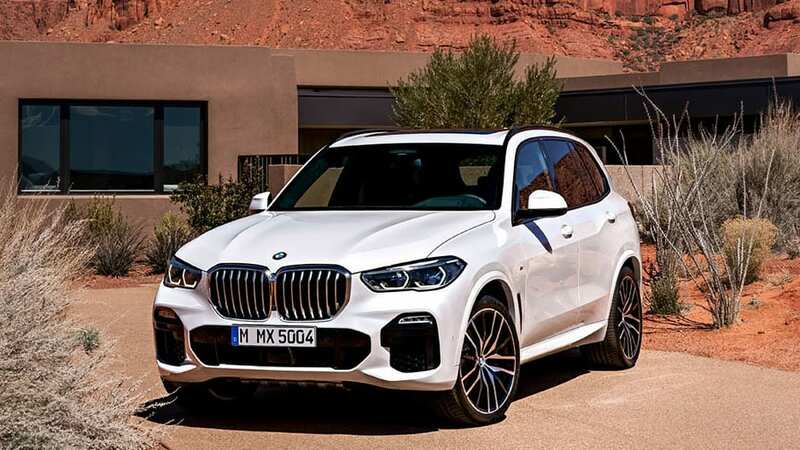 Diesel fans should get their orders in for the current model, because BMW said the oil-burning 2019 X5 "probably isn't coming to the U.S." Global markets will retain their two diesels, the 3.0-liter with two turbochargers branded as the "35d," and the same diesel with three turbochargers branded as the "50d." 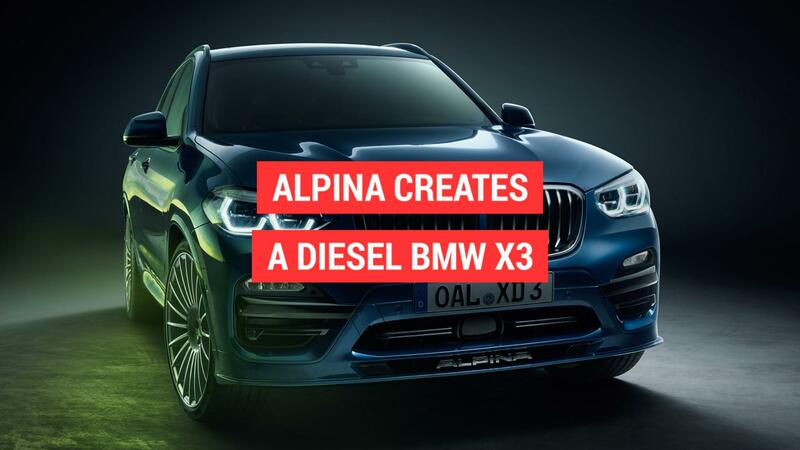 The xDrive40e plug-in hybrid will continue, with availability sometime after launch, and is expected to be upgraded to the xDrive45e with slightly more power from its 2.0-liter, four-cylinder engine. 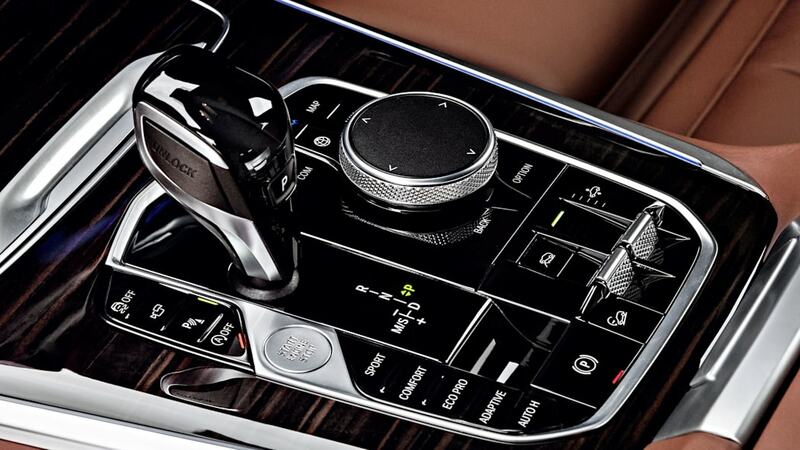 Shifting comes courtesy of the eight-speed ZF transmission found in the X7. 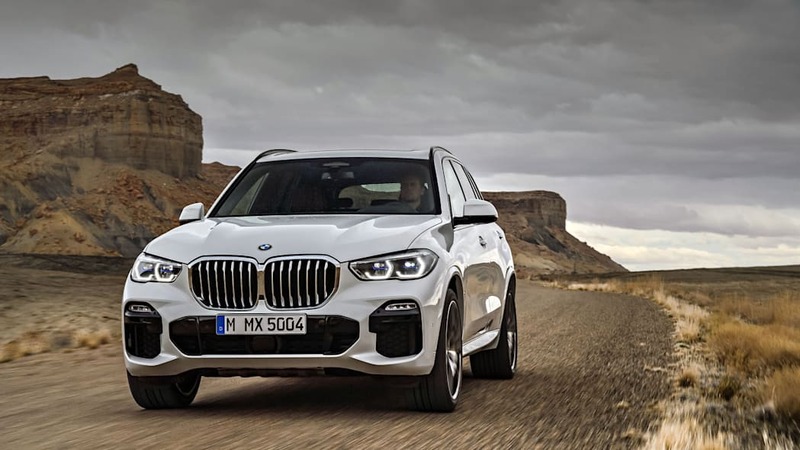 Reviews have chided the current X5's imprecise steering, a situation BMW addressed by transplanting the X7's steering setup to the 2019 X5. Actual road impressions arrive through one of four suspensions. The base setup pairs steel springs with adaptive dampers. An optional M Sport suspension swaps in retuned steel springs with a lower ride height, and M Sport tires and wheels. 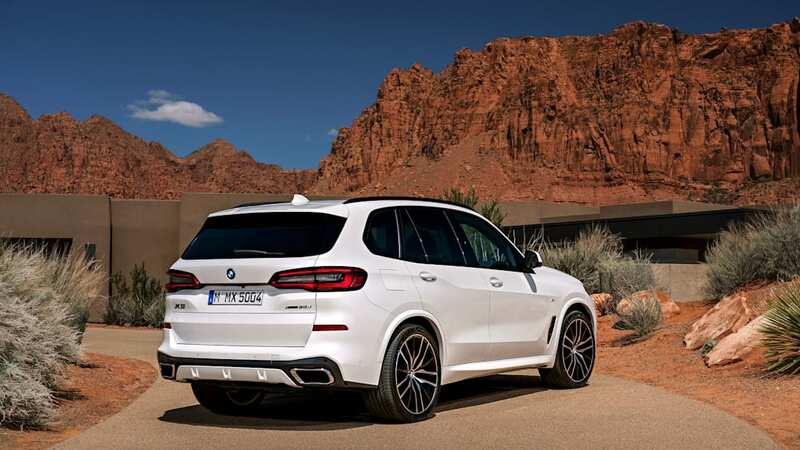 (A notable change for the M Sport model, sure to make purists smile: BMW won't put M badging on the exterior in the U.S.) The third suspension option is an active air suspension with air springs on both axles — no more rear-axle-only air springs. 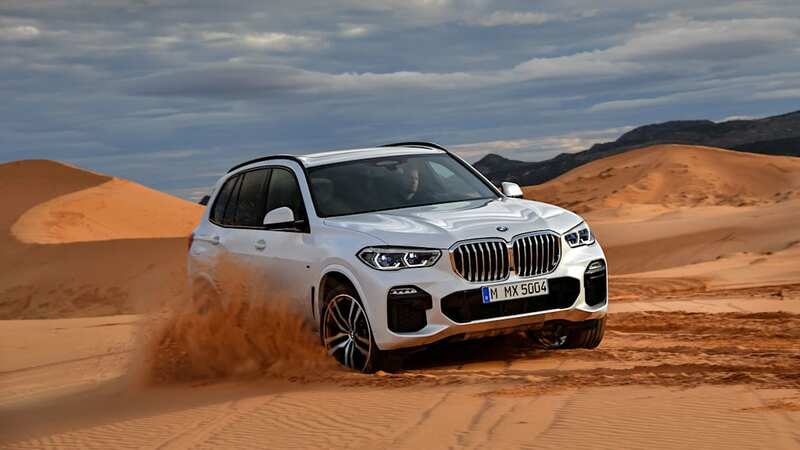 The ultimate in flexibility goes to the Off-Road Package, same as on the X7 and available from launch, that can raise the vehicle up to 1.6 inches and includes an electronically variable M Sport limited slip differential. An active anti-roll bar and Integral Rear Steer join the options list, as 22-inch wheels and a factory-installed two-inch trailer hitch. 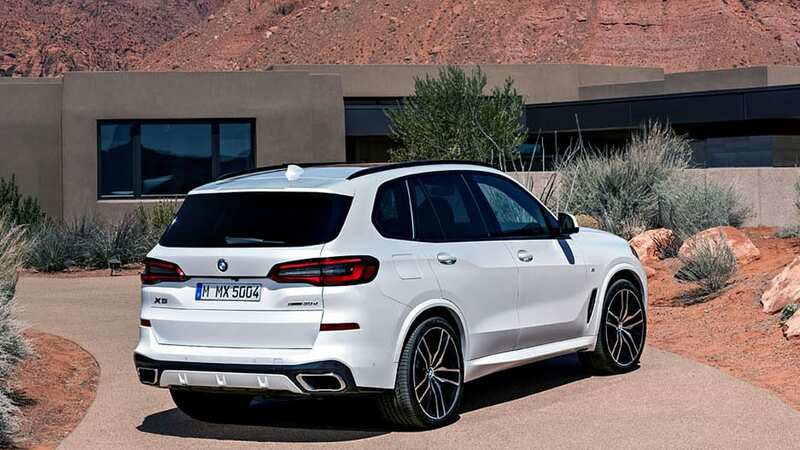 Based on the static impression, the 2019 X5 might be all new, but it looks like an evolution of its predecessor. 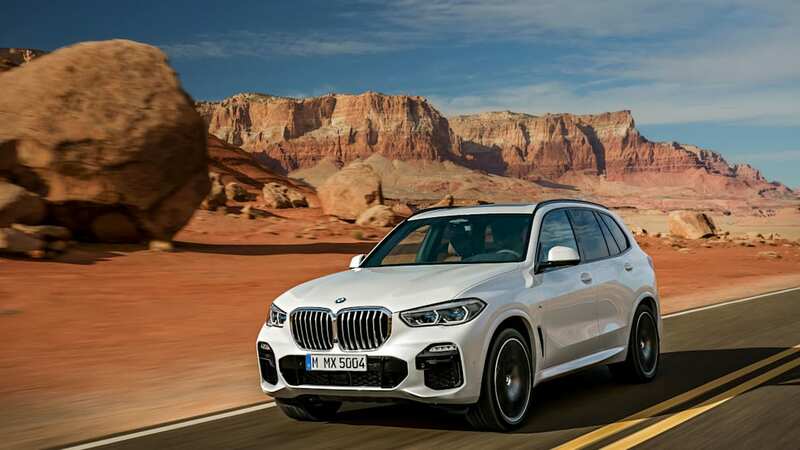 The brawnier mid-sized crossover gets better looks, luxury, and tech, irons out some deficiencies in the current car, puts space between it and the X3, while leaving space for the grand-luxe X7 above. 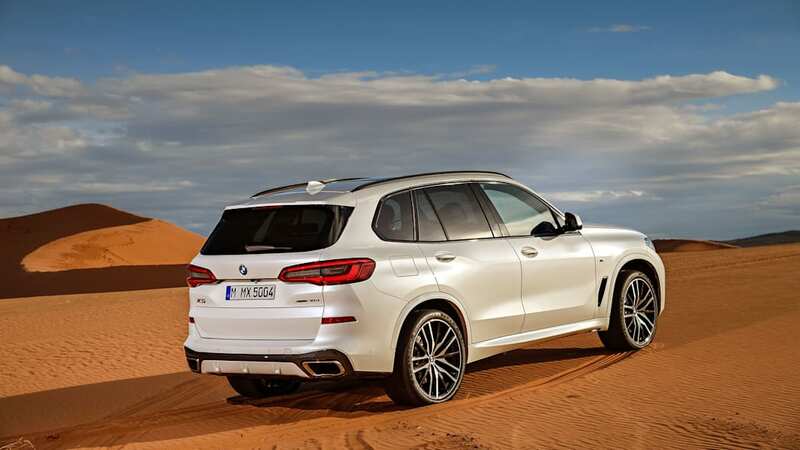 Still, it is obviously an X5. This is a reset rather than a revolution, leaving a nice template for further updates to come. It goes on sale in Q4 this year, not long after the Atlanta press launch that celebrates the original car's press launch 20 years ago. 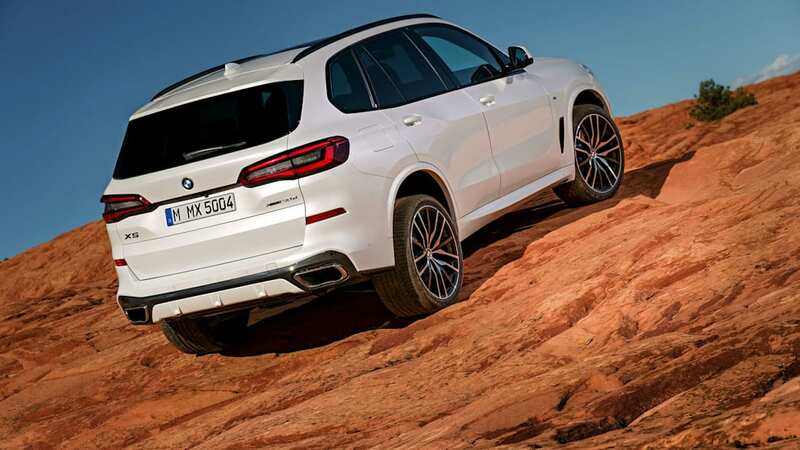 We'll find out when we're behind the wheel if BMW got the baseline X5 right.